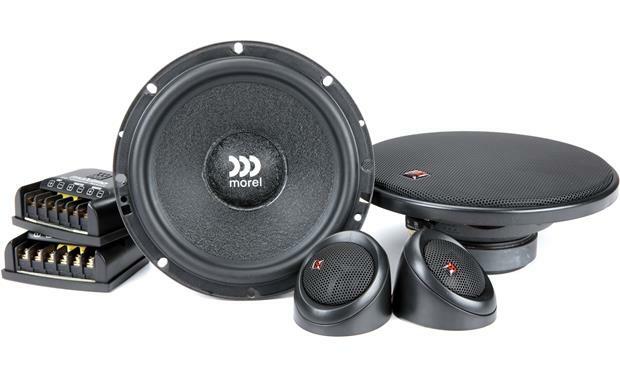 I dream of having Morel speakers in my car, and the Maximo Series comes at a price tag that could make that dream come true. 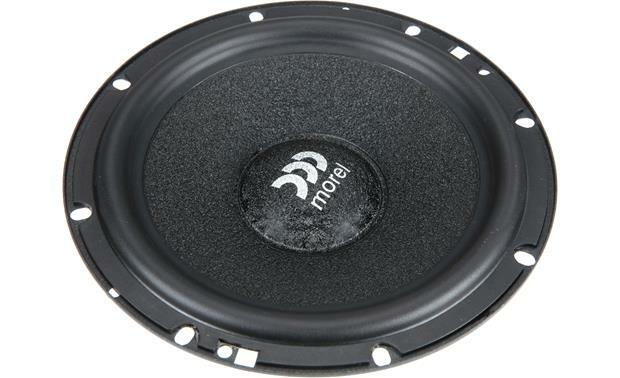 Every bit of Morel's passion for sound is present in this tough speaker system. 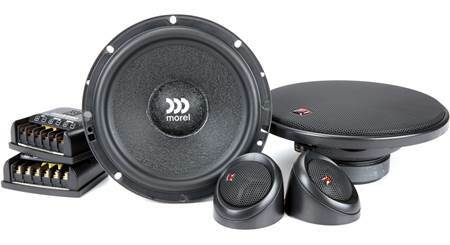 This Morel Maximo 6 component speaker system uses a treated 6-1/2" paper composite woofer and a separate 1" soft dome tweeter to deliver impressive full-range sound. 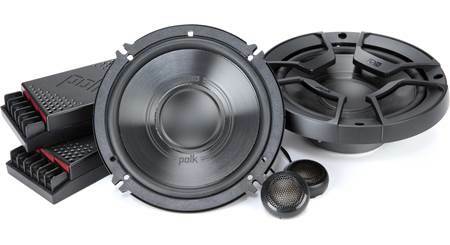 This efficient system will respond well even when driven by a factory radio, but it'll handle up to 90 watts RMS, so you'll get the best performance powering these component speakers with an aftermarket amplifier. The external crossover delivers an ideal blend of the highs and lows for an incredible stereo image. 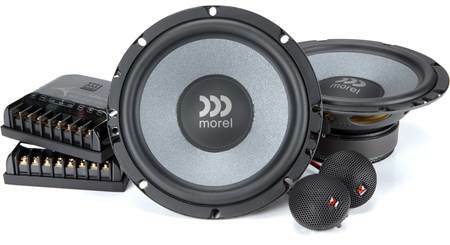 Morel also includes mounting solutions for ideal tweeter placement. Hands down best speakers, the quality of the product for the price no speaker comes close. Easly $100 cheaper than any other website as well. I listen to just about every genre of music, and can listen to it all as loud as I want with no distortion. 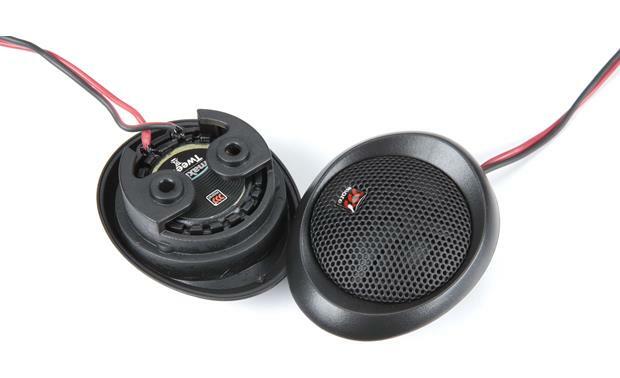 What is the diameter of the tweeter alone? Mounting Height 0.54" 1.945" 1.362"
Frame Width 2.207" 2.332" 1.920"
Frame Depth 2.695" 2.645" 1.950"
Crossover: The outboard crossovers have screw terminal inputs and outputs (0.3" wide). The slope is 12 dB/octave and the crossover point is 3.5 kHz. 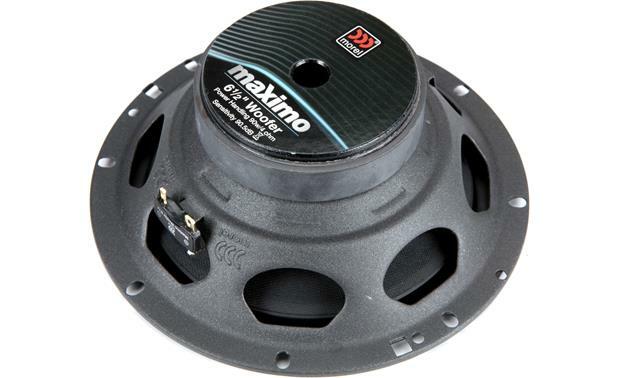 The tweeter's diameter is 45mm (1.8"), needing a 50mm (2") cutout. 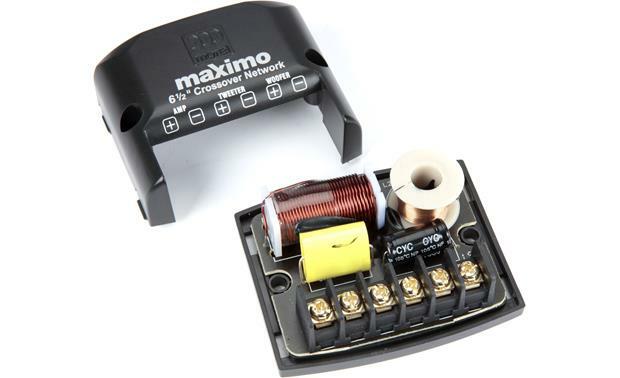 Source: Maximo 2-Way Specifications. Document found on Maximo's website. On my 2000 tundra can I use the factory grills for the tweeters and door panels? 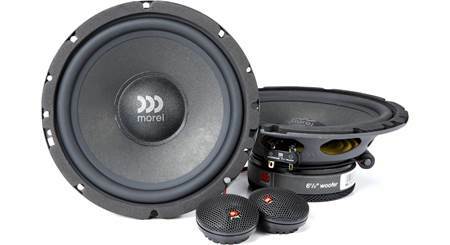 Searches related to the Morel Maximo 6 6-1/2" component speaker system.